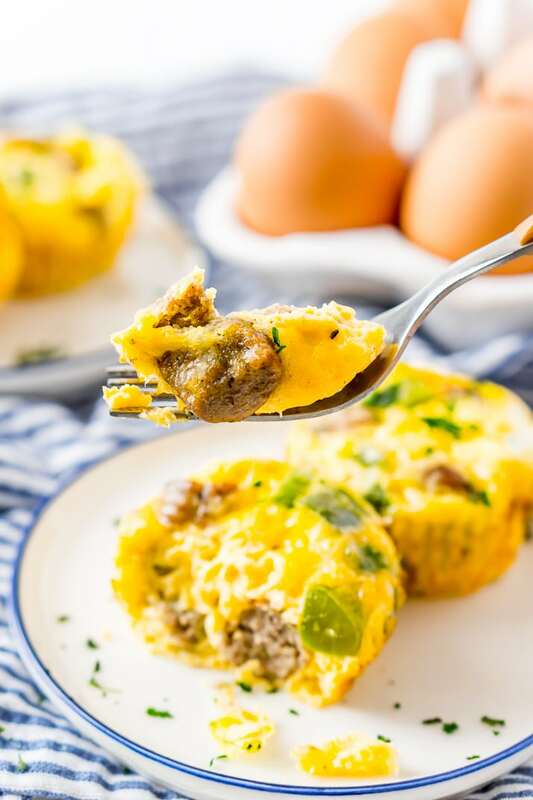 This Crustless Mini Quiche Recipe made with eggs, sausage, green peppers, and cheese are perfect for quick weekday breakfasts or weekend brunch! Make them ahead of time and freeze them for when you want them! This Mini Quiche Recipe was originally published on Centsless Meals where I am a contributor. 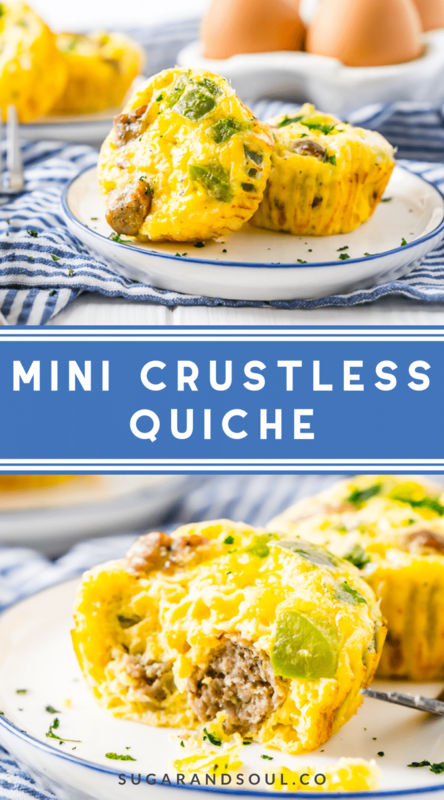 With back-to-school season just around the corner, this Crustless Mini Quiche recipe is sure to come in handy for those crazy mornings where you want to feed the family something savory and wholesome but don’t have a ton of time! 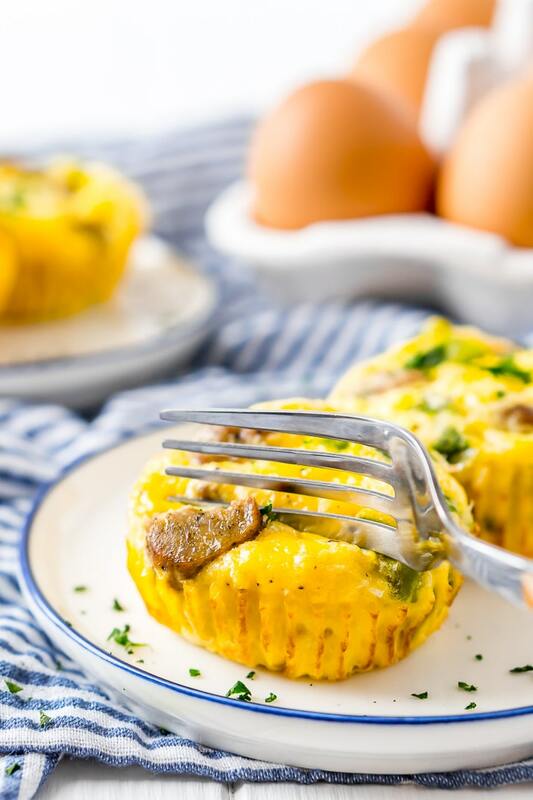 This Mini Quiche recipe is great because it’s super simple to make and they freeze well so it’s a great recipe to add to your meal prep rotation as well! If you loved this Breakfast Casserole, then you’ll love this recipe! JUST TAKE ME TO THE MINI QUICHE RECIPE ALREADY! 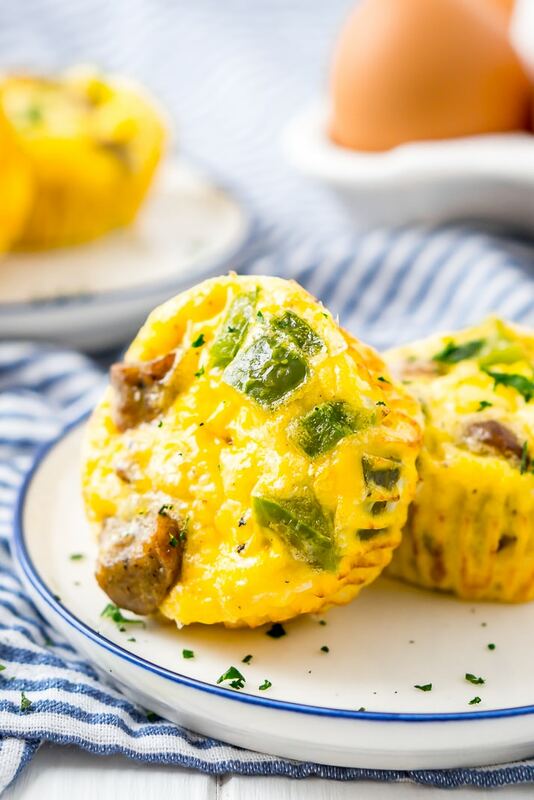 If you’d rather skip my (very helpful, I think) tips and tricks, essential cooking info, and similar recipe ideas – and get straight to this deliciously easy Best Ever CRUSTLESS MINI QUICHE Recipe – simply scroll to the bottom of the page where you can find the printable recipe card. It is a savory tart usually made with a pastry crust a filling of eggs, meat, cheese, vegetables, and milk and served for breakfast and brunch. This recipe is for crustless mini quiche. 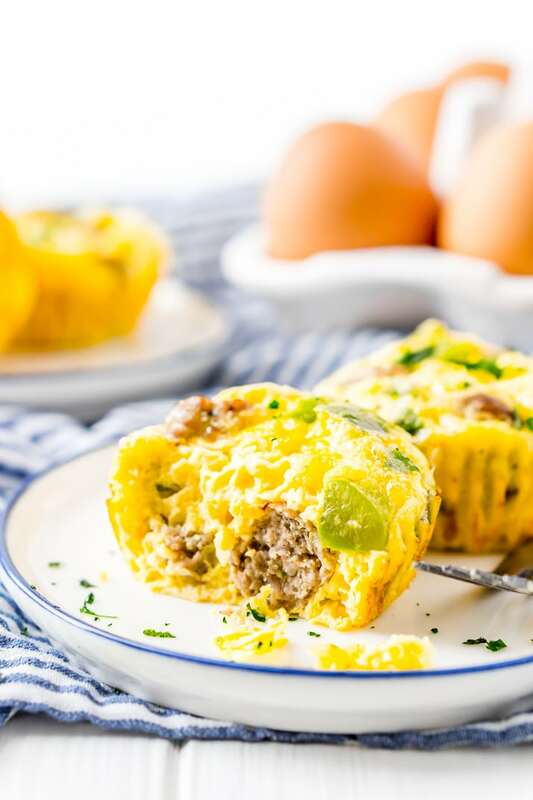 For this recipe, I chose to do green peppers and sausage, one of my favorite breakfast flavor combos, but you could easily do ham or bacon instead or even skip the meat altogether for a vegetarian quiche. Other great options include jalapeno peppers, onions, and spinach, seriously, feel free to play around with different veggies and different cheeses too! How Do You Make Quiche Without Crust? This recipe is a breeze to make and packs in so much flavor! Mix things up with different add-ins like bacon instead of sausage and green onions and more! To reheat, preheat the oven to 400 degrees F and make for 8 to 10 minutes until the quiche is heated through. Pin this Crustless Mini Quiche for Later!